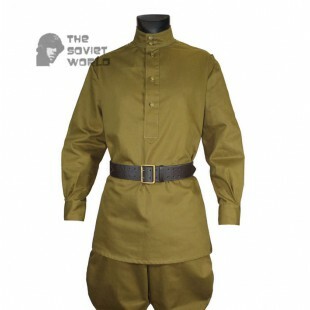 Soviet Army Uniforms of the Armed Forces of the USSR - items uniforms Soviet Army ( formerly known as the Workers ' and Peasants' Red Army and the Red Army ) of the USSR Supreme. 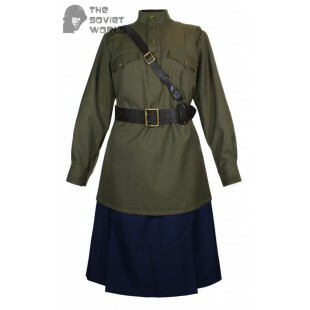 In this category you will find some complete Soviet RKKA NKVD, Infantry, Artillery and Tank, Air Force WWII, Ameba Uniforms and separate components like Gimnasterka, M73 Jacket, Galife pants, Overcoat and others. 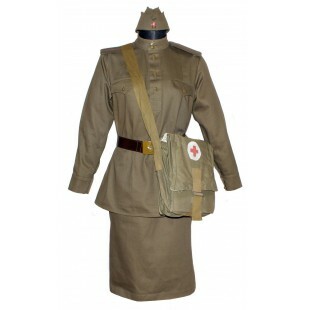 The Uniforms are equipped with belt systems, bekts, hats and other accessories of Soviet soldier’s Uniform. 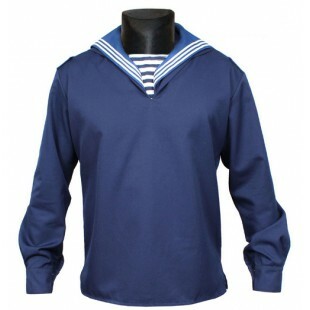 Soviet army sailor's Parade uniform shirt with large collar made of very high quality cotton material. This shirt is new and comes with blue striped sailor collar and golden navy buttons. ..
Soviet Red Army RKKA Artilery, Tank force military uniform. New condition, never used. The uniform consists of jacket with shoulder boards and pants. Please choose additional items below. 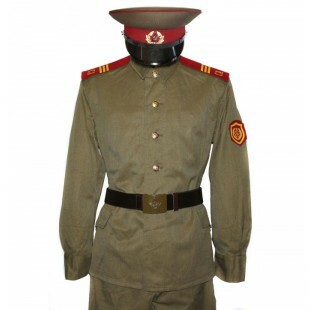 ..
Soviet soldier M69 construction battalion military uniform. Like new condition, never used USSR soldier uniform. Consists of: jacket with shoulder boards, patch, medal "25 year of victory" and trousers. Other items are optional (additional). ..
Soviet Red Army RKKA AIR force military uniform. New condition, never used. The uniform consists of jacket with shoulder boards and pants. Please choose additional items below. 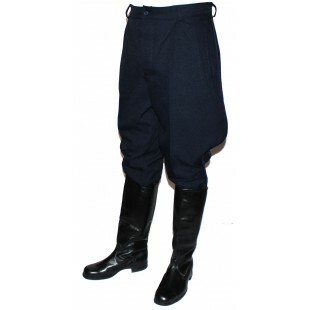 ..
Military black semi-woolen trousers, made for Officers of USSR Navy Fleet. New condition, never used authentic Soviet Navy surplus. 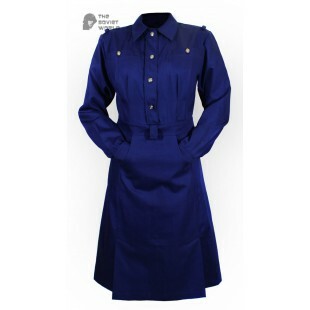 ..
Red Army woman's cotton dress with golden soviet army buttons with star. Used by female officers during WW2. It is new item made of very high quality 100% cotton material. 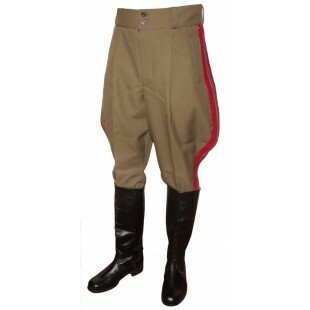 ..
Soviet pants with red piping used by Naval Admirals. New, never used. Made in USSR. ..
Soviet Naval Fleet blue sailors jacket. Military surplus of Soviet Union, new and never used. 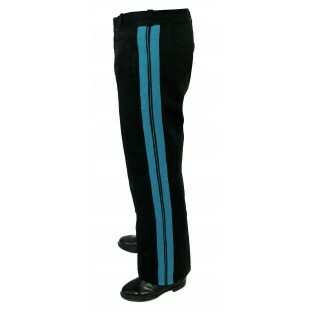 ..
Soviet pants with blue piping used by Naval Admirals. New, never used. Made in USSR. 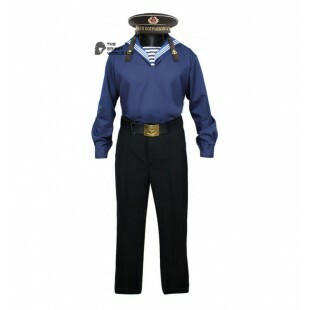 ..
Soviet military Red Army sailor's summer marine uniform. 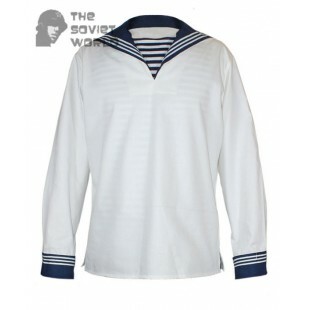 Consist of summer sailor's shirt Flanka with blue striped navy collar and marine pants. Flanka made of very high quality cotton material and pants made of mixed woolen fabric. All items are new, unworn. ..
Soviet AVIATION lieutenant WWII military uniform. New condition, never used. The uniform consists of jacket with shoulder boards, handmade patch and pants. Please choose additional items below. ..